The first part of the Dawn of the Aspects ebook series written by Richard A. Knaak is now available for download from Amazon or through iTunes. 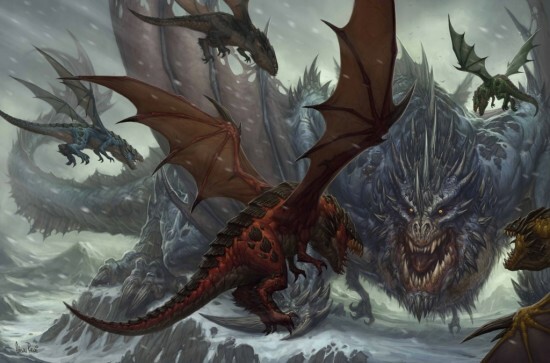 This will be the first of five installments and the series focuses on the former Dragon Aspects losing their immortal powers after defeating Deathwing, and before they first became Aspects in the time of the proto-dragons. I think I know what I’ll be doing this afternoon! The first part is only $3.20/€3,07/£1.99. “Uncertainty plagues Azeroth’s ancient guardians as they struggle to find a new purpose. This dilemma has hit Kalecgos, youngest of the former Dragon Aspects, especially hard. Having lost his great powers, how can he—or any of his kind—still make a difference in the world? So, what’s part 1 about? The former Dragon Aspects are on the brink of going their separate ways when Kalecgos discovers a mysterious artifact that allows him to see through the eyes of his late predecessor, Malygos, and Kalecgos is transported to a time where the Aspects were no more than primitive proto-dragons. Across Kalimdor’s northern plains, they fought for survival against each other and the terrifying and dominant Father of Dragons, Galakrond. Where did this strange artifact come from? Are the visions a gift or a curse? When will you be able to get the next installments? Go download and read, NOW!